An emotion-packed journey to a world just beginning the painful transition from racial segregation to integration, The Help is heart-felt drama from the perspective of society's often silent servant victims. It's the early 1960s, and racial segregation is alive and well in the deep south of Jackson, Mississippi. Young, progressive, idealistic and single Eugenia "Skeeter" Phelan (Emma Stone) lives with her parents and dreams of a career as a writer. With the civil rights movement beginning to bubble across the country, New York editor Elaine Stein (Mary Steenburgen) hesitantly encourages Skeeter to pursue a book based on the experiences of "the help", the common term used to refer to the black maids in charge of all the housework and child-rearing for the white women of Jackson's high society. Aibileen (Viola Davis) has raised generations of white children, but has carried a broken heart ever since her own son died. Her best friend is Minny (Octavia Spencer), an outspoken maid who speaks her mind and gets repeatedly fired as a result. Jackson's elite households are headed by the likes of Hilly Hollbrook (Bryce Dallas Howard), who is cruel even towards her own mother (Sissy Spacek), and is happy to dump all the housework onto the maids while actively seeking to prevent them, by law, from using internal bathrooms. More enlightened but also more frazzled is Celia Foote (Jessica Chastain), a wealthy outcast. Aibileen and Minny start to tell their stories to Skeeter, and eventually they are joined by the other maids in town. Meanwhile, Hilly's attitudes catch up with her, while Minny starts working for Celia, with both tentatively discovering the virtue of positive influence. 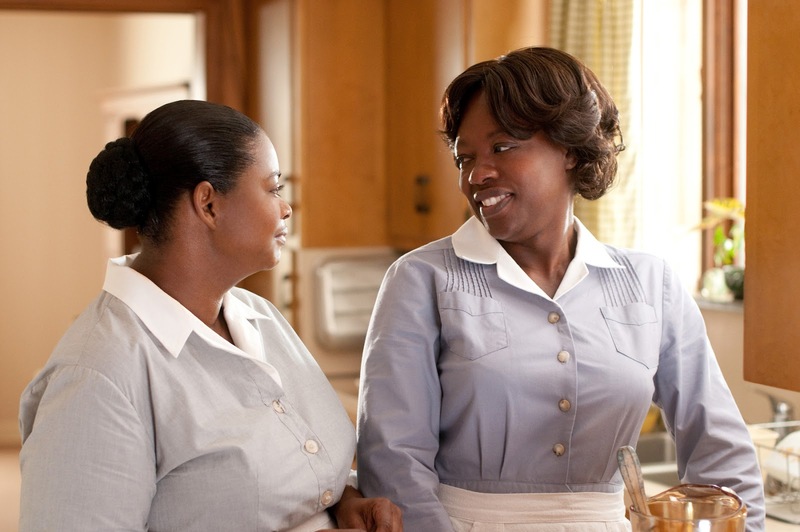 Based on the best selling book by Kathryn Stockett, with a screenplay by director Tate Taylor, The Help does suffer from the common book adaptation affliction of not enough trimming. There are a few too may scenes thrown in, such as Aibileen being kicked off a bus after a racial shooting and Skeeter's frantic preparations and transportation to her first date with romantic interest Stuart (Chris Lowell). These and others (the entire Skeeter / Stuart sub-story is served up in an under-cooked rush) only distract from the film's focus, and amateurishly add padding to the running length (an unnecessarily hefty 146 minutes). But the strength of the narrative shines through, The Help depicting a profoundly disturbing environment in which rich white women depend on poor black maids to run their lives, and yet treat them as third rate human beings "who carry different diseases to white people". Yet the irreversible winds of change are blowing, and the power of The Help is in the silent realization that descends on part of the community, but not all of it, that dramatic societal upheaval is around the corner, and those left behind are in for a shock. Skeeter is openly conscious of the ground shift and acts to encourage the ushering in of a new respect between mistress and maid. Her mother (Allison Janney) is coming to terms with the new world, while Celia, unwillingly insulated from societal norms, embraces the new reality without stopping to think. Meanwhile, Hilly and her ilk continue to promote segregation and therefore hurtle towards moral extinction, unaware that the two are linked. Spencer won the Best Supporting Actress Academy Award, but Davis (nominated as Best Actress), Stone, Howard, and Chastain (nominated as Best Supporting Actress) all deserve recognition for terrific performances. In support, Janney and Spacek provide short but sharp contributions. The Help is very much women-only territory, all the male characters (mostly faceless husbands and boyfriends) reduced to almost invisible standing. Taylor directs with as much emphasis on reaction than action, The Help drawing tension from what and how the maids overhear in terms of demeaning conversations. Aibileen draws on remarkable strength to maintain her dignity in the face of repeated insults, while Minny speaks out more often and predictably pays for it. Both demonstrate remarkable passion and courage reacting to Skeeter's request for interviews. Taylor's script does include brief but welcome reminders that not all the maids are honourable (one maid steals a ring), and not all the white women are cruel (Skeeter hears stories about maids being treated with compassion). Seemingly civilized societies can nurture and tolerate an environment of insidious abuse and targeted indignity. 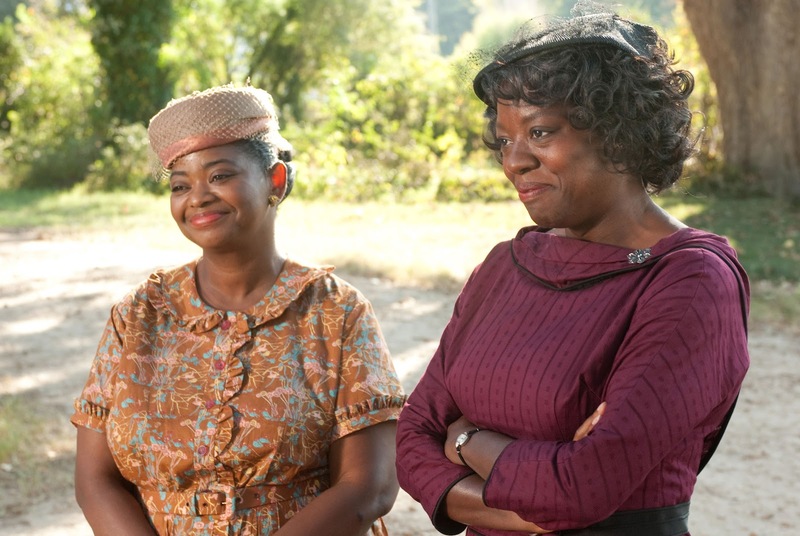 The Help reveals the ugly fault lines, and celebrates the certainty of their expiry.